We can't think of a better day to celebrate that special someone than at the brewery!! Treat them to a fine night of music, food, and beer! 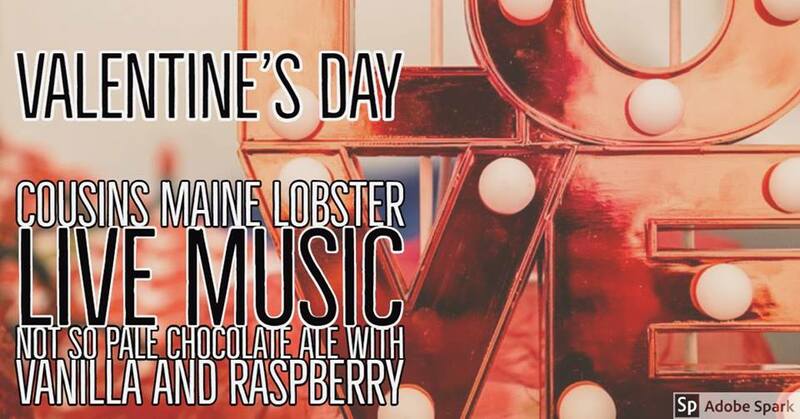 Cousins Maine Lobster will be on-site from 5-9, Live music with Joe's Cousin, and our Valentine's day Not so Pale Chocolate Ale variant with Vanilla & Raspberry! !